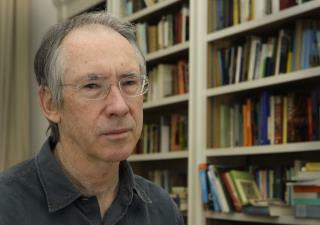 (Newser) – A British teenager struggling with an essay on an Ian McEwan book didn't get a top grade even after getting help from his father—Ian McEwan. The award-winning British author says he feels "a little dubious" about his books being studied in school, especially after his youngest son got a C+ on his McEwan essay several years ago, the Telegraph reports. I wonder how many books the teacher has published. And if the teacher still has a job after this revelation. Typical behavior of teachers assuming and thinking they know about an authors reason,beliefs etc better then then author himsef. On top of that requiring a student to write something about his very much alive fathers book and then giving the kid a C+ grade. The teacher should not have put said student in that predicament and offered him another book instead. What a prick the teacher is!